Whether you live in a tiny New York City apartment or have a mansion with enough space for a wine “cave,” there’s no reason not to preserve this precious resource. Many units are now available for properly stowing your favorite vintages. Even if you don’t drink wine yourself, you may wish to have a bottle properly preserved for guests. 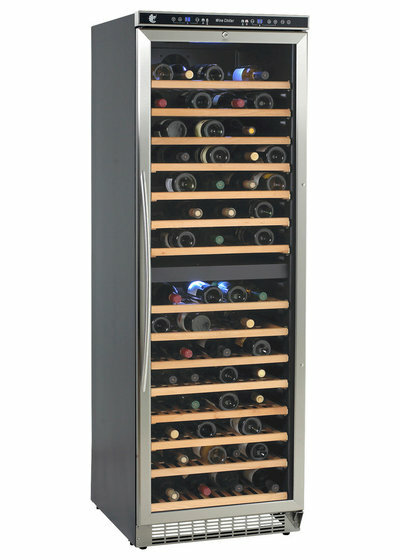 In this article we’ll look at self-contained refrigeration units, bottle dimensions and a few ways to store wine. 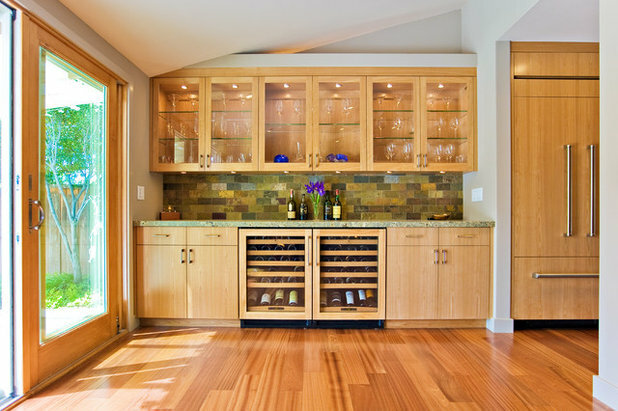 Whether you will be housing your wine in a compact refrigerator or a luxurious wine cellar, it all comes down to the size of a single bottle. While bottle shapes and styles vary slightly, wine and champagne are sold mostly in 750-milliliter bottles. Wine bottles typically measure 3 to 3.2 inches (7.62 to 8.12 centimeters) in diameter and are about 12 inches (30.5 centimeters) tall. Champagne comes in slightly larger containers that measure up to 3.5 inches (8.89 centimeters) in diameter and closer to 12.5 inches (31.75 centimeters) tall in 750-milliliter amounts. Consider your personal requirements when planning bottle storage. Creating flexibility is wise, since you can also buy 350-milliliter and 1.5-liter amounts. Those bottle sizes are more difficult to predict. Having slots or shelves for a few odd sizes may take care of this dilemma. 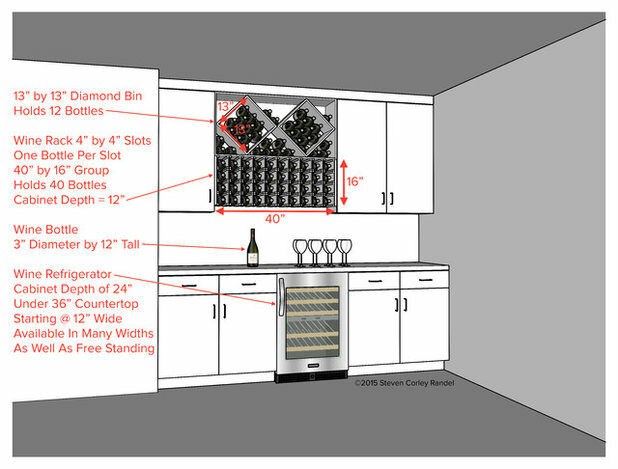 One 12-bottle case of wine will take up about 1 cubic foot (0.03 cubic meter) of space in a diamond-bin configuration in which they are stacked next to one another. Nine bottles per cubic foot is a more comfortable margin when planning spaces. 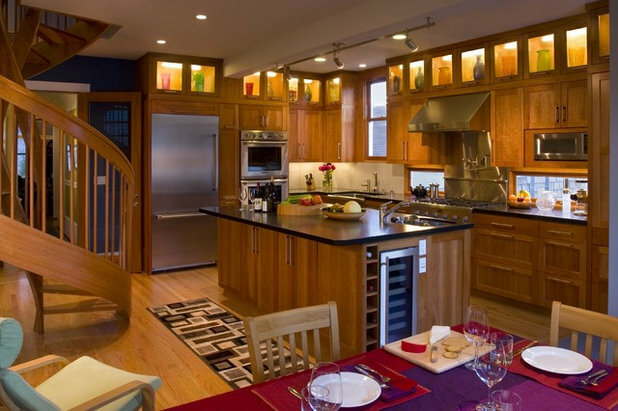 The kitchen here illustrates a popular configuration in which the wine cooler is built in under the countertop. 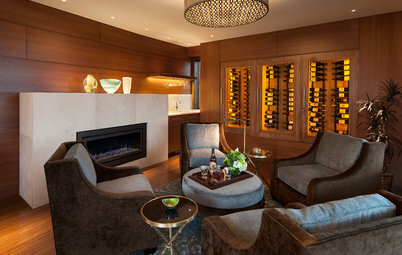 The most important consideration for wine storage is consistent temperature. At about 37 degrees Fahrenheit (2.7 degrees Celsius), refrigerators that we use for our food storage are too cold for the proper preservation of fermented grapes. Wine should be stored at 55 to 58 degrees Fahrenheit (12.7 to 14.4 degrees Celsius) with 60 to 80 percent humidity. These conditions are ideal, but going outside of these parameters by up to 5 percent should not harm anything. 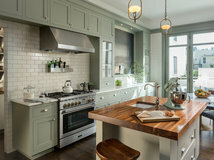 This 12-inch (30.5-centimeter) wide fridge can stand alone or be placed under a standard 36-inch-high (92-centimeter-high) countertop. 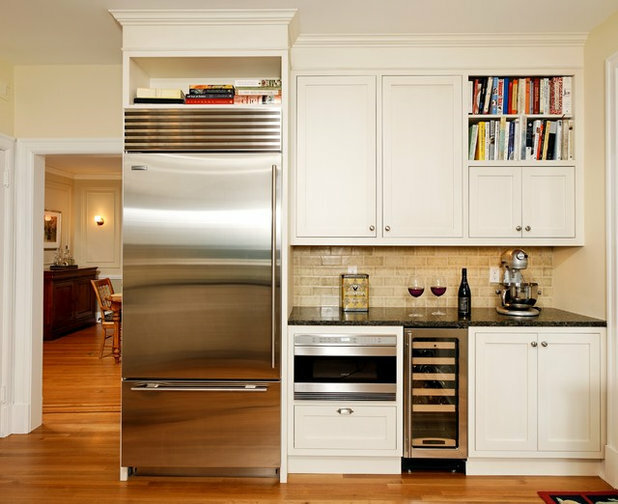 Manufactured units typically are a little less than 24 inches (61 centimeters) deep to fit within standard cabinetry. This example will hold up to 19 bottles. You can find units with widths up to 24 inches (61 centimeters) in 3-inch (7.62-centimeter) increments. 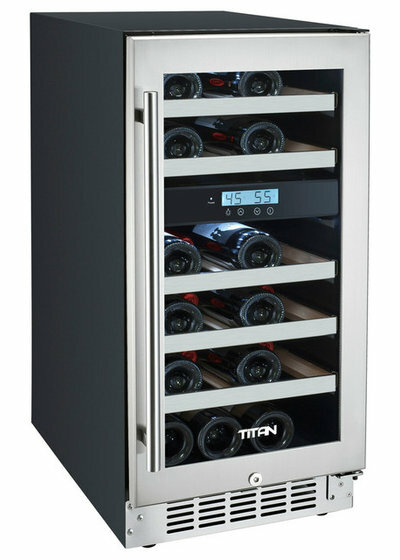 The Titan unit below is 15 inches (38 centimeters) wide and will hold up to 23 standard Burgundy bottles. Consider that one case of wine is 12 bottles. For those who collect cases at a time, as opposed to a bottle here and there, we’ll look at more generous storage solutions below. Another consideration is whether to store bottles horizontally or upright. Usually it’s only storing wine upright in extreme climates or for long periods of time that will give you problems. Corks have to dry out, crack or contract to disturb the wine, and other capping methods are becoming more common. That being said, storing wine bottles horizontally works best spatially. But if you need to place a case upright in the cabinet for a few weeks, it should be fine. 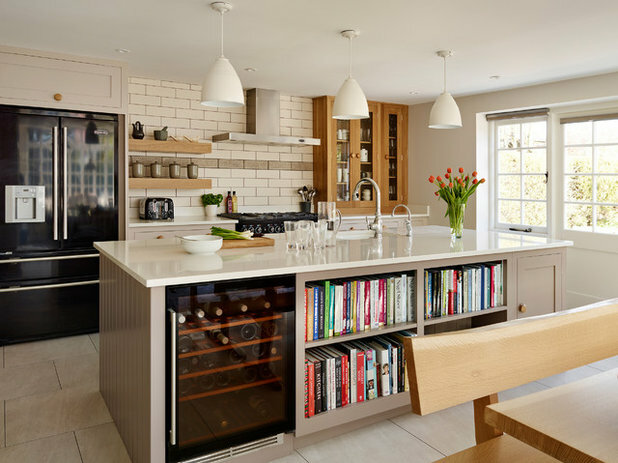 Though some live in places where wine can be kept at the proper temperature in a dark basement or another sheltered space, most need refrigeration or a mechanical system for cooling. 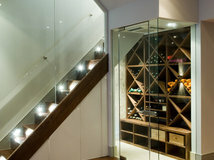 Another caution for wine storage is light. Wine is normally bottled in colored glass to inhibit light exposure. Sunlight and some artificial light can degrade wine over time and hasten unwanted aging. 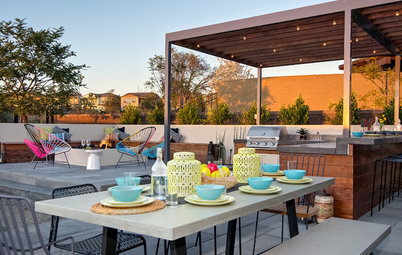 Consider glass-enclosed storage systems that block exposure to light and UV rays. If you drink the wine within a reasonable time — say, a few months — it should not make much difference. 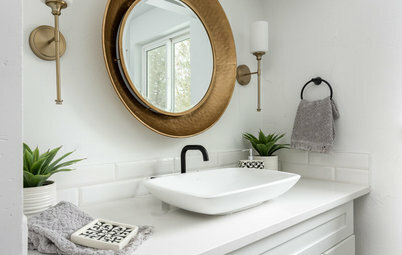 Starting at 24 inches in width, undercounter units are built in 6-inch increments to be 24, 30, 36, 42 and 48 inches (61 to 122 centimeters) wide. 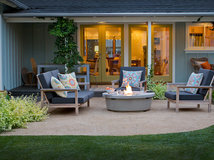 Consider that you can place pairs of the same or different sizes to provide for your specific needs. 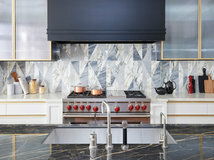 For example, you could have two smaller wine refrigerators; one could hold your favorite Bordeaux at exactly 57 degrees Fahrenheit (13.8 degrees Celsius) and the other could house your delicate chardonnays at a perfect 51 degrees Fahrenheit (10.5 degrees Celsius). In the example below, two 24-inch-wide (61-centimeter-wide) undercounter units are paired. Some people have older trash compactors that are often 18 inches (46 centimeters) wide and that they no longer use or want. 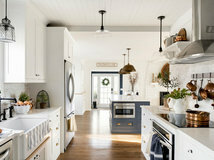 These can easily be removed and an 18-inch-wide (46-centimeter-wide) wine refrigerator can be installed in that same place. 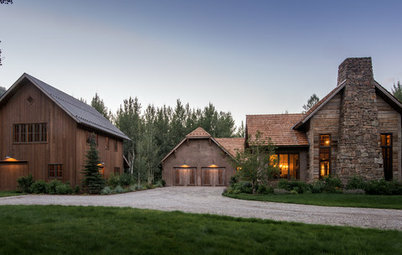 The luxury home above has a tall manufactured wine cellar that is similar in configuration and size to a standard refrigerator. 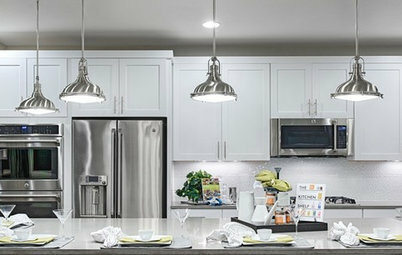 It is built in and elegantly integrated with the custom cabinets. 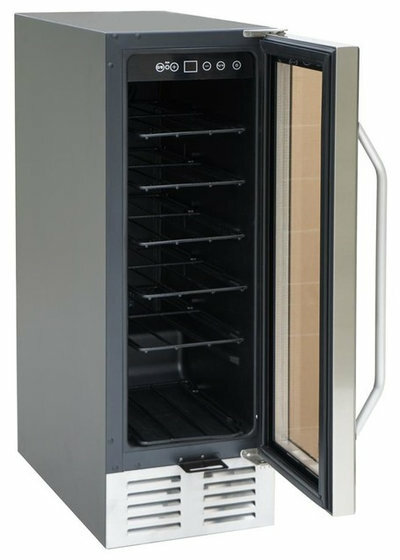 Entering the luxury market allows you to find a wine refrigerator, like this one, to store up to 149 bottles at two different temperatures. 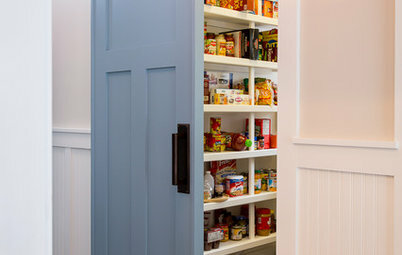 Once again, standard depths are similar to cabinets or refrigerators. This unit is 29.5 inches (75 centimeters) wide. 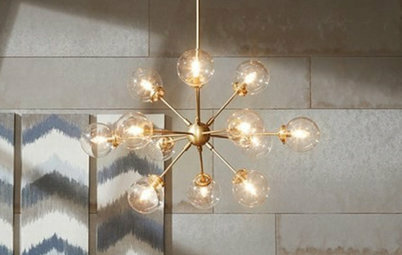 The challenge is having enough height to place one of these in your house. This one is 76.5 inches (194 centimeters) tall and is typical of a unit with this capacity and these features. You can also find 24- or 36-inch (61- or 92-centimeter) widths in similar heights. 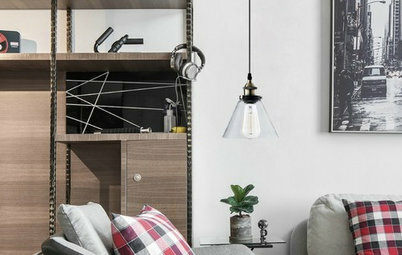 This pair of tall units is finished with cabinet-coordinating doors neatly and is beautifully integrated into the built-ins of this Chicago apartment. 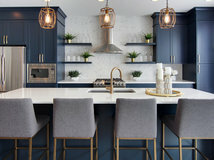 Consider having finishes coordinate with your decor when you shop for units, or have your architect specify them to your preference. Custom features like this must be carefully planned and coordinated with installation, with the dimensional parameters always considered. The weight of your wine collection also should be considered. Each bottle of wine weighs about 3 pounds. If you amass a collection of 1,000 bottles, you are placing an additional ton and a half in your house. That’s equivalent to a small car. 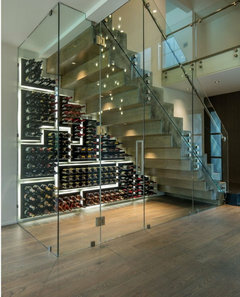 This is another reason wine cellars usually end up in the lowest levels of the house. Your basement probably would have no problem taking on the weight. 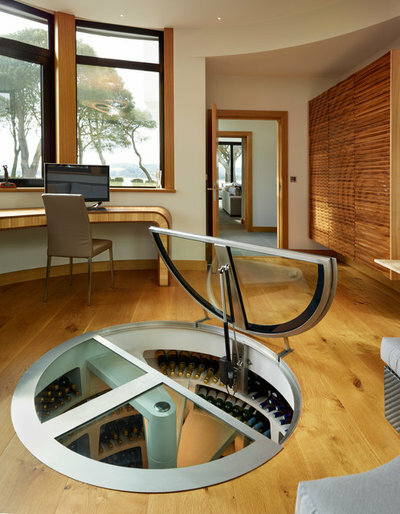 One British company, Spiral Cellars, has created this extraordinary wine cellar designed to sit within the foundation of a house. 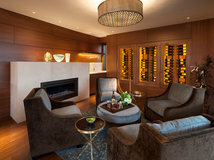 Its cylindrical design has an automated hatch opening and spiral stairs to access built-in wine racks holding an astonishing 1,360 bottles of wine in a compact arrangement. 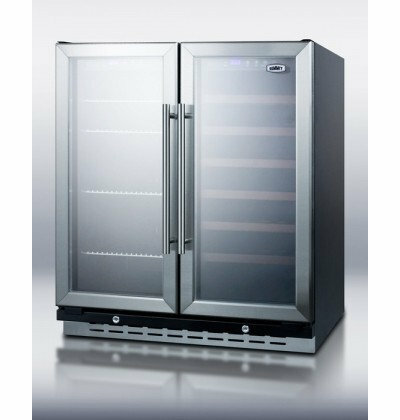 No power is needed to refrigerate the unit; a passive ventilation system maintains the wine at the proper temperature. Of course, this will only be appropriate in climates like that of the U.K. or someplace similar. 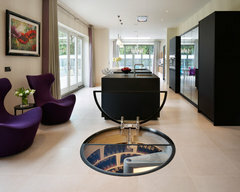 The cellar measures 7.4 feet (2.2 meters) deep and 3.3 feet (1 meter) in diameter. 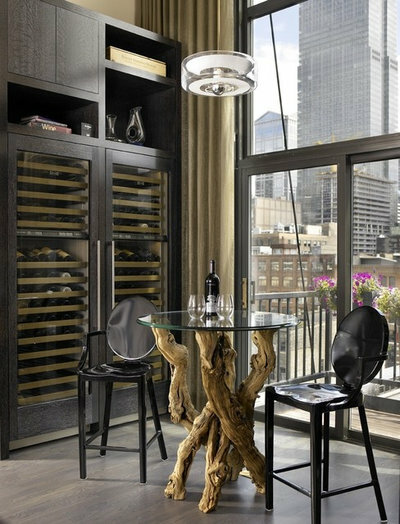 In Part 2, we look at the types of wine racks and how to plan an entire room dedicated to your wine cellar. Ivy - we can do custom racks of any size. A custom PEG panel may be the best way to fit max bottles in a small space (other than just traditional bin storage of course). Email margaux@genuwinecellars.com with your dimensions if you'd like a quote. We should also note that the Spiral Cellar is also available in North America! An important here however is that we do install an active climate control system with it here.